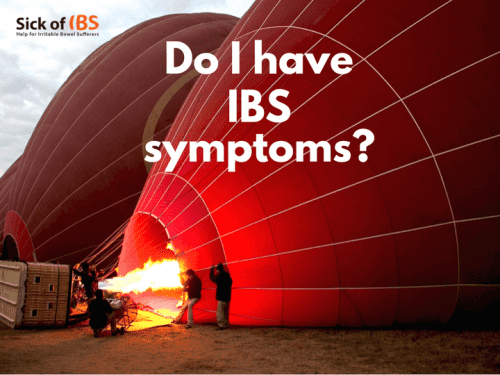 Home » IBS SYMPTOMS » Do I have IBS Symptoms? Do you have any of these IBS symptoms? If so, you probably have Irritable Bowel Syndrome. Do you have difficulty digesting, and suffer from reflux? You may feel some foods going round and round in your stomach, and have a bad taste in your mouth. You may also suffer from regular heartburn or acid reflux. Do you have stomach cramps, accompanied by diarrhea and/or constipation? These are the most common symptoms of Irritable Bowel. 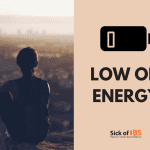 Do you also feel generally tired, sluggish and maybe depressed? Let’s face it, who wouldn’t? You may also be suffering from other symptoms which may seem totally unrelated may be directly linked. You may be experiencing huge mood swings and hormonal imbalance, food sensitivities, headaches or pain in different parts of the body. I think I have been through most of the possible symptoms over the last 25 years without understanding that for me they were all related. IBS doesn’t just involve your digestion but all of the body’s functional systems. Now I am free from IBS I can see the big picture and all these symptoms have disappeared. See my symptoms here. If you want to you can of course be tested for IBS. There a whole range of tests available, including hydrogen breath testing that you can have done via you doctor. The results may only confirm what you probably already know, but they do not give you the solution. You may find your IBS symptoms come and go. Or you may find bloating and digestive problems stay. Mine have evolved a lot over time. I used to have bouts of IBS that would have me in bed for a few days. Then my symptoms changed to being more regular, but not so bad. And finally I had full-blown IBS with major bloating (bloating up two dress sizes every day) and major discomfort all the time. In future posts I will be looking at the causes of all these IBS symptoms and what I did to get some relief. IBS-like symptoms can also come with other disorders, like thyroid problems. They can be a symptom of food sensitivity, and the ground for new sensitivities to develop. They may be the first symptoms of bowel cancer. Although this seems to be rare, it would be worth having this checked out by a qualified health professional. Diarrhea or constipation: What if the cause was the same? Having battled with IBS for many years I have finally made my way out of the IBS maze. 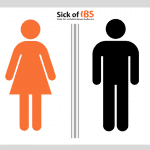 I was compelled to create Sick of IBS to help other IBS sufferers find their way out too. I hope this blog will help you improve your IBS and get your life back!